Tips From Those In The Know! The pilot program for our children’s garden is an initial attempt to educate, and allow children and parents to experience the joys of growing vegetables from seed. We have begun this program with four plots within the area designated in the Farm. Just after the Grand Opening for Skidaway Farms, a crop of cool weather (early) vegetables was planted: garlic, onions, radishes, spinach, parsley, and carrots as well as pumpkins. Pat Barry, Skidaway Farms’ Children’s Coordinator, will monitor the progress and inform the participants when “things” start to sprout. As the Farm waits with great anticipation for our first children’s harvest, meetings will be conducted with the Children on selected Saturdays from 10 AM until 11 AM. Initially, they may learn the fine art of weeding, if nothing else! The children will tend and cultivate the veggies as they mature. 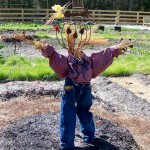 A harvesting celebration is envisioned for the children, when they will be able to remove their produce to take home. Three volunteers have assisted Pat Barry with the tilling, mulching and building of the furrows: Aletha Dunlavy, Kathy Fritz, and Linda Rich, the current president of Green Thumb Garden Club. Not only are we growing great food at Skidaway Farms but next week we’ll be serving some to you as well at our May Supper at the Farm event! You and your family, friends and neighbors are invited to join us for our first harvest celebration! Cha Bella Restaurant’s incredible Chefs have prepared a delectable menu for the buffet which will begin at 5 pm on Sunday, May 15th. Tickets are on sale at The Landings Company office on Bartram Road. Corn Bread dripping with Honey Butter and Roasted Potato Salad! You’ll eat well while enjoying soft, sultry music provided by Savannah Steve … amidst the unmistakable growth of happy vegetables and cheerful flowers in the Farm. Wander around the plots … take it all in … enjoy the amazing farm-art and the beauty of the fleur and fauna! About those angels at the Farm…. Thanks to Bethesda Barn Builders, Skidaway Farms is now home to some incredible heart-felt memorials for gardeners and builders-past. These gifted volunteer woodworkers…there are presently 17 men in the group… have designed and built the Southern Pine benches you see around the Farm. 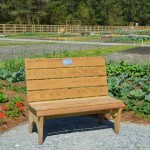 Dedicated by Friends of the Farm, some of the benches are gentle reminders of those who loved to garden and are sorely missed while other benches honor folks who are supporters of the Farm. Bo Wolf, Bethesda Barn Builders’ present Director, made sure one of their benches was dedicated to deceased barn builders who had been with the group since its inception. Jack Fisher, chief designer for the group’s projects, founded the volunteer builders to help renovate an old barn at Bethesda Boys School in 1993. Many barns, benches and bridges later, Bethesda Barn Builders continues to grace our community with projects at Delegal Marina, the Landings’ Nature Trail, UGA’s Marine Extension, the newly-renamed Bethesda Academy and, of course, Skidaway Farms. Bravo, gentlemen! We are all honored to admire your work! Skidaway Farms is on McWhorter Road going towards Modena — bear left at the fork and in one half-mile turn left onto the gravel drive… next to the Skidaway Farms sign. The Farm is open every day from “sun-up to sundown”. The gates are open — the irrigation system is on — the sun is shining —- and the frosts are behind us! Skidaway Farms still has room for you to become a member and start gardening! After the Opening Celebration on February 12th, Skidaway Farms had a crush of new members join up! But with almost 200 plots onsite, there are still 29 plots available for more new gardeners. 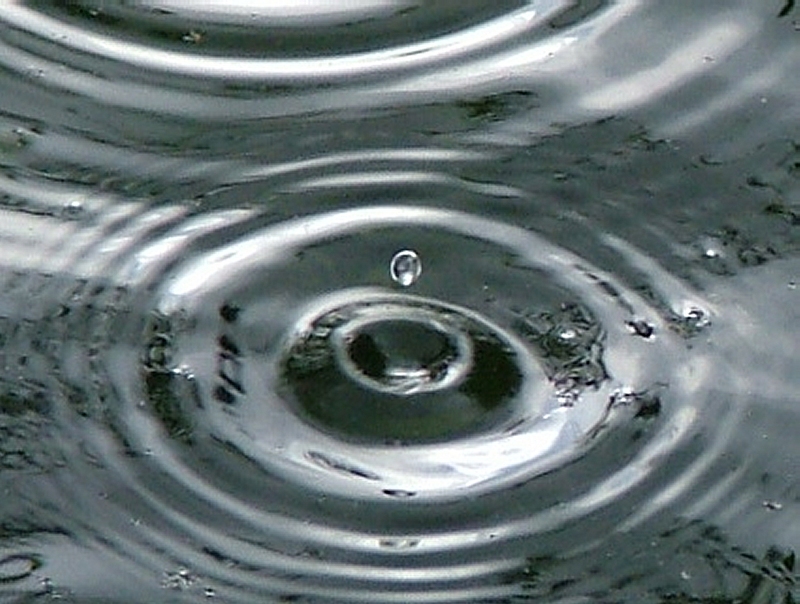 Email Membership Coordinator, Janet Waldie (sunshine@gardenthyme.me) who will get you signed up! Close to 190 gardeners are busy tilling, planting and admiring their plots. Traditional gardeners number 110 while the Organic section boasts 25 members. Governance Committee Chair, Blake Caldwell is also exploring the notion of creating more raised beds for those new gardeners who may be interested. No two plots look alike — some sport pine straw —some black anti-weed fabric— some are furrowed — trellises adorn others — there are birdbaths and flowers and wind chimes and even a mailbox or two! And, of course, there are vegetables — and flowers too. Come on down and visit the Farm! Skidaway Farms is on McWhorter Road going to Modena — bear left at the fork and then turn left onto the gravel drive next to the Skidaway Farms sign. The gates are open every day from “sun up to sun down”. Who knew you could grow pumpkins in an eggshell? Pat Barry, Children’s Garden Coordinator at Skidaway Farms surely knew! It was the first thing she taught her flock of children-farmers about how vegetables really grow. Supported by their parents, over a dozen children (ages 4-8) have planted sunflowers, lettuce, carrots, cucumbers, pumpkins and radishes in the Children’s Garden at the Farm. With a generous grant from the Green Thumb Garden Club, Pat rented the plots and was able to purchase enough copies of Helen Jordan’s “How A Seed Grows” so each child had their own book. Linda Rich, Aletha Dunlavy and Kathy Fritz helped Pat till the soil and get the plots ready for the children. Then, armed with a couple dozen eggshells and some pumpkin seeds, Pat showed her wide-eyed little Farmers just how it was done! Everyone took home their eggshell – and watched it carefully for that first exhilarating pop of green up through the soil. Once the seeds germinated, each child planted the seedling at the Farm – eggshell and all! Other seeds went into the ground directly – under the caring eye of the flowered-hat-scarecrow who, so far, has kept a vigilant watch over all the goings-on! Girl Scout Troop # 33061 also has joined the Children’s Garden. These Daisy Scouts are working to receive their Rose-Petal-Daisy badge by gardening their harvest of melons and veggies. Troop Co-Leaders, Dawn Ciano and Colleen Bibby are using Skidaway Farms to guide these young girls through the “Make The World a Better Place” Girl Scout program. Skidaway Farms encourages other children to join up… organized groups or maybe a Grandparent and their grandchildren. The only requirement is the children must live on Skidaway Island and a parent/guardian must be involved. Contact Pat Barry at pat@home31411.com with any questions about the Children’s Program. C ome on down and visit the Farm! Visitors to the Farm from the Isle of Hope were overwhelmed by it all today! Perhaps even a bit envious! They were heard to say they just might move to Skidaway Island just to be able to join!